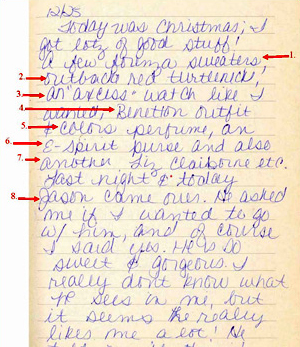 Below is a page from my diary, dated December 25, the year was 1987. Ladies – how many of you woke up to find one of these blasts from the past under your tree? 1. A few Forenza sweaters. Yes, those hot, chunky cable knit roll neck sweaters from The Limited. 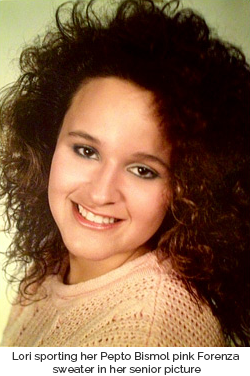 I even had my senior picture taken in my favorite, a Peptol Bismol pink number. 2. An Outback Red turtleneck. Again, from The Limited. 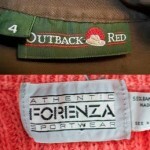 Outback Red was a hot brand back in ’87 – I remember this was a mock turtleneck in a pretty shade of red. 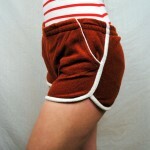 I would wear it with my “Z Cavaricci” brown pants, gold corkscrew earrings and a red scrunchy in my hair. THAT was a sweet ensemble. This was my favorite watch ever. Gold face with a cutout that had a sun and moon that changed as it went from day to night. It felt all classy and grown up. I remember this “outfit” consisted of a bright Kelley green top and stretchy elastic-waist white pants. Two words – Not. Flattering. I didn’t really care how it looked on me, I just loved it was from Benetton – on sale, marked way, way waaay down . . . the only way I could ever talk my mom into anything from that store. 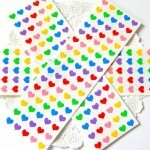 And I wanted to smell like benetton too – all sixteen year old girls wore this is 1987 – I think it was the law. I can picture that bottle on my white dresser and remember how I would admire it before I fell asleep. This was one of those “roll” bags, that kind of looked like a barrel or a log. It was light gray and really soft. It was a pretty little bag. This purse was white with brown trim, plastic-y and stiff to the touch. You can kinda tell I was pretty much over the Liz Claiborne thing at this point, like great, ANOTHER one . . .
Jason. He came over last night and today. He asked if I wanted to “GO WITH HIM” (where?) He’s sweet. He’s gorgeous. A good Christmas, and a good haul, right? I’m hoping the following Christmas Santa brought me some self-esteem because obviously I had zero, with my “he-seems-to-really-like-me-a lot-and-I-have-no-idea-why” attitude, yeesch. I do love having this ridiculous record of what happened on that Christmas morning. I can see that Benetton outfit and feel that Forenza sweater, remember the pretty smell of the perfume and how cool I thought that watch was. The picture of that Christmas/time in my life is seen more clearly thanks to what I was carrying/smelling like/dating/wearing. I worked at “The Limited” in high school class of 89 and enjoyed my employee discount. I was more Forenza than Outback Red. I only wore my Forenza Sweater backwards and my favorite one was aquamarine. Bitchin’ I had forgotten about my Zena jeans! How about the Swatch watch? we rocked the original skinny jeans. I am tall-and the Outback Red khackies only looked adoreable and slouchy- like on short girls…..sigh. I had a Liz Claiborne purse too-it was tiny and round-about the size of a cd….good luck fitting a tampon or pencil in there without busting the zipper over it!! Wish Hollywood would study this site….seems they never get it quite right….closest I have seen is “Ping Pong Summer” with Susan Sarandon….my favorite part is when the main character buys a new tape,opens it,and inhales that awesome smell!!!!Remember?? ?Keep on keeping our decade alive!